Compared to other accidents that involve motor vehicles, pedestrian accidents are typically the most severe. When a car or truck strikes a pedestrian, the person will almost always end up on the losing end of the collision. Because pedestrians have little to no protection, they will typically suffer serious or catastrophic injuries. Even in cases that involve low-speed collisions, a crash with a pedestrian can cause permanent physical damage to a victim. If you have been hurt in a pedestrian accident, you need to speak with an Indiana personal injury attorney from Parr Richey Frandsen Patterson Kruse LLP immediately. With more than 75 years of combined experience, we are seasoned trial lawyers who are experienced in handling pedestrian accidents and their injuries. We are known for helping our clients achieve satisfactory results, including million-dollar verdicts and settlements in the past! Our reputation precedes us, and we are prepared to represent your claims to the fullest extent. If we take on your case, we won't be afraid to litigate on your behalf so you can obtain the best possible resolution. With established reputations as being effective personal injury attorneys in court and out, Attorney Paul Kruse and Attorney Tony Patterson are ready to work hard for your rights! Were you injured in a pedestrian accident in Indianapolis? Most pedestrian accidents are not caused purposefully, but are the cause of misjudgments and dangerous actions on the part of negligent drivers. We know what evidence is necessary to prove negligence and establish the severity of your injuries, which can enhance the chances of you obtaining the maximum recovery. 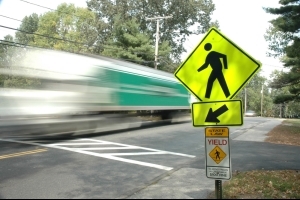 Walkers, runners, and children at play are all at high risk of being involved in pedestrian accidents. We all share the road with one another, but if we fail to adhere to exercise great care, tragic accidents can result. Had drivers or pedestrians only adhered to the rules of the road, many pedestrian accidents and serious injuries could be prevented. Contact our Indianapolis personal injury attorney immediately! Whether you are a pedestrian who has been struck by a vehicle or your child suffered injuries after a collision, there may be several parties or entities responsible for the damages. From defective product or property liability, we will completely investigate your case to get down to the root cause of your injury. If you have suffered damages due to no fault of your own, it is time to take legal action with the help of an experienced Indianapolis pedestrian accident lawyer. Don't wait another moment to retain our firm! Per Indiana's statute of limitations, you could only have two years to file a claim. When you speak with one of our attorneys, we can determine if your case has merit and begin to draft the most effective legal strategy for you! As one of the oldest and most recognized law firms in Indiana, we are at a perfect advantage to represent you in all branches of local and state government. We have represented everything from high-profile cases to minor cases involving personal injury and have treated each case with the utmost care, respect, and attention that it deserves. If you want legal representation that works for results, Parr Richey Frandsen Patterson Kruse LLP is the firm to choose! Contact our Indianapolis firm to schedule your free case evaluation to get started with our team.